That looks all good with DMR Decode, and assuming the disc tap is correct all looks good with DSD too. I'm uploading two more video examples of two other systems which I'll post here as soon as they're ready, one is a busy system with lots of voice (UHF) but they also have a databurst every 30 seconds which is common with TRBO systems. The other is the one that I said transmits most of the time about 95% data and 5% voice (VHF). Are there any other local systems you could try as it looks like you've got everything set up correct? The above DMR UHF Mototrbo System is fairly common. Voice is used often on the above system and every 30 seconds there is a short data burst (which happens constantly whether or not people are talking). I'm told this is the set up on older mototrbo systems running on older Firmware although I have noticed newer systems do this too. Ignore the other transmissions I've also got a few analogue scanners running in the background. The above VHF Mototrbo system transmits most of the time about 95% data and 5% voice (VHF). Data in the form of various modes such as text messinging and locational tracking can be used on Mototrbo systems along with voice communications. Again, Ignore the other transmissions I've also got a few analogue scanners running in the background. 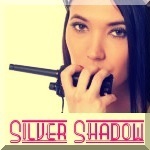 Great stuff SilverShadow..Even I could follow that.